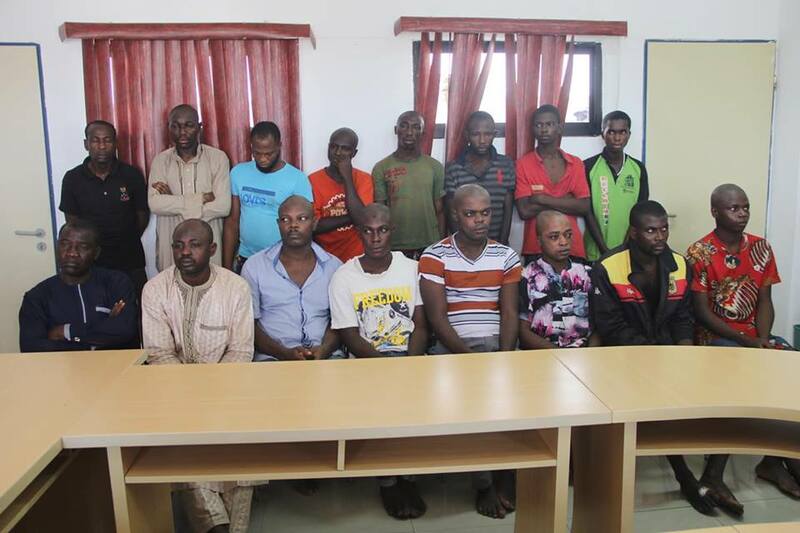 The Nigerian police have achieved a breakthrough in the fight against crime in the local government district of Ankpa of the Kogi state and other neighboring states. The success became after the killings of innocent people and the removal of their intimate parts for ritual purposes in the city Ankpa and the killing of a police inspector, Abdul Alfa, at the outpost of the Ejule police in Ofu LGA during a patrol on 28 November 2017 - he grabs the police gun in his possession and several complaints about missing persons who were received in the police stations in Ankpa and surroundings. During the investigation, it was found that a notorious gang was responsible for the heinous crimes. They remove the male and female organs of their victims after they have killed and sold them to personalities in Kogi and neighboring cities. AKUBU HAMIDU 'M' 39Yrs - The gang leader who was born in Ankpa and the leader of the civil defense forces as well as his citizens guards are the men who are responsible for the murder of several victims and remove their organs mainly male and female organs including others Body parts such as head, kidney and other vital body organs and sell them to personalities inside and outside the state for rituals. During the interrogations, the gang leader YAKUBU HAMIDU and his members in police custody confessed to the crime and admitted that they were sponsored for Abdulahi Ibrahim Ali aka (Halims) and ALHAJI Shaibu Adamu aka AYE-MARINA, who handed over the body parts after their victims killed and severed her body organs and collected huge sums of money in hundreds of thousands of naira. Aye-Marinas driver, known as Zakaru, receives body parts from Yakubu Hamidu. 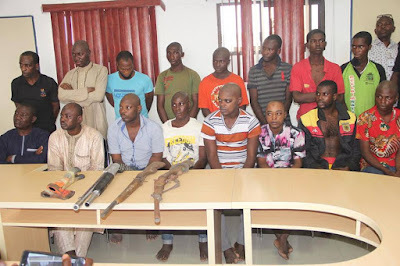 Abdulahi Ibrahim Ali aka (Halims), who volunteered to investigators, is now in police custody and is suspected of using the crime to build and own so many plots and gas stations in the Kogi state, while ALHAJI Shaibu Adamu Also known as MARINA with no known profession or known livelihood, she was believed to have built in Ankpa, Kogi State, and another four (4) in onyangede in Benue State with the proceeds of the crime own villas and four (4) gas stations and built. (vi) Inspector Abdul Alfa (ambushed from behind and turned upside down) by Julius Alhasan and his gang. Investigations are being completed and efforts are being intensified to arrest further suspects, including prominent figures linked to the crime, but still at large. They will all be brought to trial after the investigation is completed.